When it comes to session planning, I used to be a last-minute kind of gal. I’d stay up late the night before a new week or month of sessions and classes, stressing myself out looking for songs and materials that were appropriate for my students’ goals and various classes. But now that I have so many resources of my own from which to choose, the planning process is a lot less daunting. I’ve actually even come to enjoy it! However, I know not everyone does, which is exactly why I decided to start sharing my session plans each month. When I sit down to plan my sessions, my goal is to create a cohesive plan that also complements any seasonal or holiday theme for that month. I want to make sure there is plenty of opportunity for fine and gross motor movement, verbal exchanges, social interaction (if working in a group setting), and lots of room for student and client input. 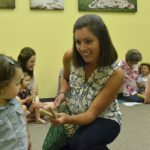 These session plans can be used for music therapy, early childhood groups, classrooms, and anywhere else you use music to help children learn and grow. They address a variety of goal areas, utilize all kinds of instruments, and encourage creativity. In August, I’m focusing on rhythm sticks and guitar for instrument play, and using the stretchy band for gross motor movement. Of course, these items can be substituted or omitted based on your own participants’ needs and goals. You asked, and I am more than happy to answer. 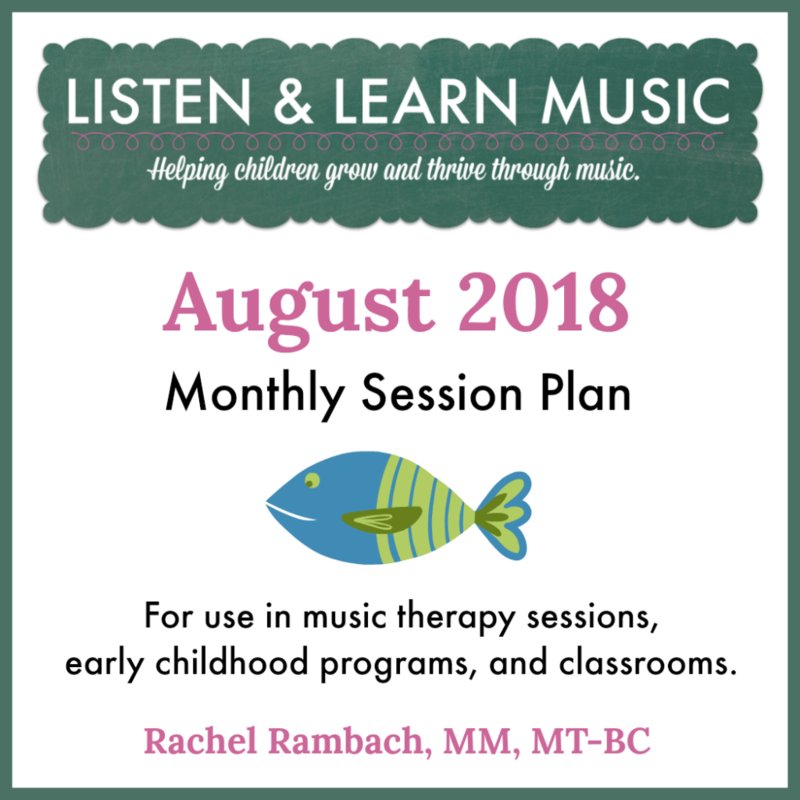 I’ve created a truncated version of the August session plan, which includes the entire song list and 4 full songs (facilitation guides, lyrics/chords, mp3s, and instrumental tracks). …for all 10 songs. Every month. $10 for all of that is a pretty sweet deal, right?! I know it’s still early July, but this is the perfect time to start planning your August sessions and classes (one less thing to stress about as summer starts winding down). Monthly session plans for the following month will be available no later than the 15th so that you can get a jump start on planning each and every month.